AS A TEENAGER in the flare-pants 1970s, Kim Rossmo (BA’78) had no idea he would one day have a career as unlikely as an episode of The Mod Squad—as an internationally known hunter of serial killers. Back then he was just trying to get through high school, trekking from the family home in Sutherland to Evan Hardy Collegiate, then on the outskirts of Saskatoon. It helped that he was a wunderkind at mathematics. He was so far ahead of his cohort that his math teachers mostly left him to self-directed study. But one holdout was intent on putting him through the same homework as everyone else. When in his senior year he found himself in her class for the second time, he went to the principal, who—what were the odds?—had a PhD in mathematics. Rossmo asked to challenge the provincial final algebra exam after one week of classes. He scored 100 per cent, though looking back he frames this triumph in probabilistic modesty. Today Rossmo directs the Center for Geospatial Intelligence and Investigation at Texas State University in Austin. 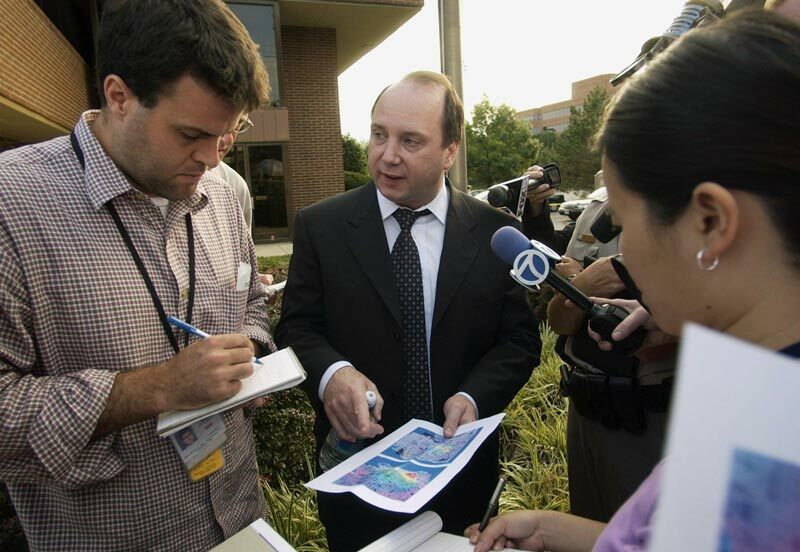 He is the inventor of geographic profiling, a technique to help locate serial killers and other criminals by mapping the probability of their likely residences or workplaces relative to their crime scenes. His algorithm and its application, which has earned him worldwide media attention, was created while he was a sworn officer of the Vancouver Police Department, where he won the distinction of being Canada’s first street cop to earn a doctorate. His system grew into a proprietary software package called Rigel with police and military customers around the world, but which has found utility in unlikely corners—to predict hunting patterns of great white sharks, the breeding areas of malarial mosquitoes, the roosts of bats, and even to help decipher the identity of the street artist Banksy. Sadly, Rossmo’s geoprofiling will forever be associated with an infamous failure to apply it—through no fault of Rossmo’s—to catch Canada’s worst serial killer. But that’s getting ahead of the story. In a surprise sideline from his pursuit of cold human killers, Kim Rossmo’s geographic profiling has proven oddly apt in studying predators of other species. 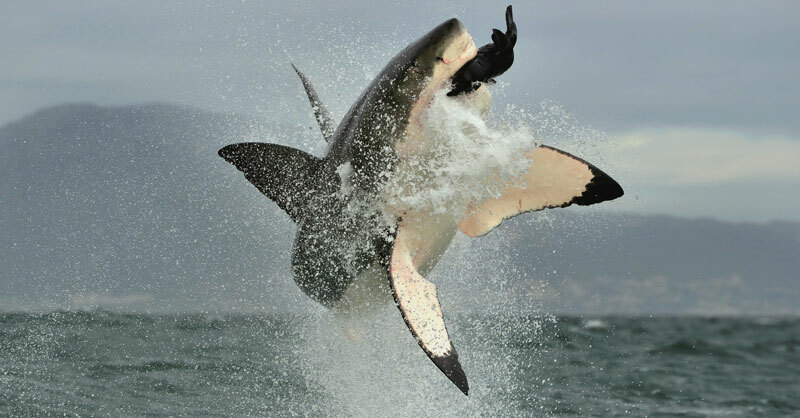 The great white shark, arguably the supreme badass of kingdom Animalia, was the subject of a 2009 study in which Rossmo helped researchers map the white’s legendary pursuit of fur seals in False Bay near Cape Town, South Africa. A staple of nature TV, these are the spectacularly athletic attacks from below wherein the predator breaches skyward, likely with a doomed seal clamped in its jaws. Rossmo did not participate in the original shark fieldwork, but he admired the great whites enough to make a later scuba diving trip to South Africa to watch them work. “It was a lot of fun to see that in real life,” he says. And yes, he was in a cage. For someone who uses the mathematical probabilities of everyday patterns to hunt serial killers, D. Kim Rossmo (the D is for Darcy) is himself a case study in improbability. Predictably enough he started undergrad a math major, but his interest flagged after two years and he dropped out to rethink. His girlfriend at the time was studying ed-psych and liked to practice her homework on him. She gave him a vocational aptitude test that identified an affinity for “investigations” (including academic research), but also a hunger for “adventure.” She suggested criminology, and Rossmo took it to heart. He introduced himself to a criminologist in the Department of Sociology, Professor Melanie Lautt. He switched his major and took all of Lautt’s courses. Meantime, he found a night job as a fledgling private eye with a local security company. He liked the odd hours and locations. When working investigations, he loved the lack of script, the necessity of improvisation. Rossmo had his sights on grad schools, including the criminology program at Simon Fraser. But the after-hours job had given him a taste for intrigue he didn’t think academe would quite supply. He decided to approach grad school by way of the street and began to write to police recruiters. The plan, which might have befitted a mystery novelist, was to garner some savvy as a beat cop, then pivot into research. 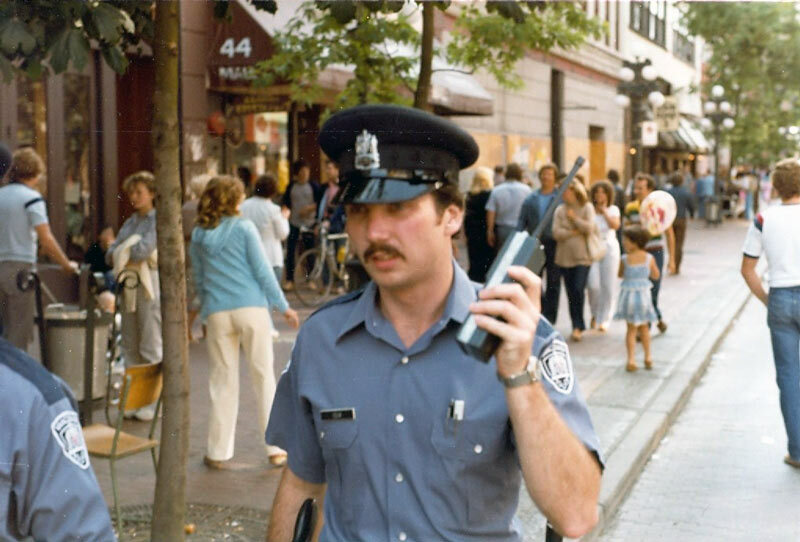 He applied to police departments as far away as Hong Kong, eventually narrowing it down to Toronto or Vancouver. His family had lived for a time in Burnaby, so he had a feel for the coast, but the Vancouver Police Department required that he know how to swim. He could not. Then Toronto called and turned him down, citing shrunken budgets. Rossmo’s plan to dabble in police work turned into nearly 23 years with the VPD, a tenure that would run through more twists than the plots of the whodunit writers he admires: Raymond Chandler, Dashiell Hammett and, above all, Sir Arthur Conan Doyle. (Rossmo’s academic writings are strewn with quotations from the casebooks of Sherlock Holmes). He’d underestimated the hurdles to being a cop—the punishing washout rate and a training regimen that took three years—and knew now it wasn’t something he’d throw over lightly. More importantly: “I loved the job.” He worked a total of nine years on Vancouver’s meanest streets, often walking a beat in the infamous East Hastings corridor—which would spawn a tragedy involving missing women a few years hence. His mentors were Paul and Patricia Brantingham, whose crime pattern theory would provide a foundation to his doctoral thesis in geographic profiling. The Brantinghams posited that serial criminals hunt for targets or victims in a predictable spatial pattern relative to where they—the criminals—live, work or shop. They avoid choosing crime scenes too close to home so as not to draw attention, leaving a buffer zone. But neither will they travel too far, a well-known commuter’s phenomenon called distance decay. Rossmo wondered if he could use the mathematics of probability to work the pattern in reverse. Could map-plotted crime scenes predict where criminals lived or worked? As in Rossmo’s favourite lawn-sprinkler analogy, if you know where enough drops are landing, you can infer the source. Rossmo captured the tension between distance decay and buffer zone in a formula that now bears his name and incorporated this into a software system he came to call Rigel, after the blue-white star in the constellation Orion, the hunter. The system overlays a “probability surface” on maps showing the most likely locations of a criminal’s residence or other base. The system cannot pinpoint an address, but it can radically focus standard police investigative resources on likely areas. A jeopardy surface generated by the Rigel Workstation software package, based on Rossmo’s formula. When overlaid on a map, tall peaks on the surface indicate the most likely areas where an offender lives or works. Environmental Criminology Research Inc.
Rossmo completed his PhD requirements in 1995, the first working community cop in Canada to do so, and the Vancouver Police Department issued a press release, triggering a cascade of media interest. The VPD installed Rossmo as its new geographic profiler, and foreign police departments sent people to train on his Rigel system. Dateline and Time wanted interviews. The future looked bright as a star. What arrived instead was a tragic chapter in Canadian history. In 1998, Rossmo was asked to study the mounting reports of women disappearing from Vancouver’s downtown East Side. He ran what epidemiologists call a spatial-temporal analysis. Going back 20 years, he identified a clear spike in unsolved cases in the mid-1990s. In May 1999, he submitted his report, which suggested that a serial killer was the most likely explanation. Fatefully, his conclusions were dismissed by his superiors, not all of whom appreciated Rossmo’s number-crunching methods or his rising-star status. Among numerous VPD and RCMP administrative failures subsequently identified in official inquiries, Rossmo was never supplied with the crime data needed to put Rigel to work. Moreover, his geoprofiling position was shortly discontinued. Rossmo would leave the VPD amid acrimony leading to a wrongful-dismissal lawsuit. The serial killer Robert William Pickton would not be arrested for three years—and 16 more murders—after he was first identified as a suspect. Geographic profiling was never used to hunt him in the place where it was invented. “This was a colossal failure. This was Canada’s biggest serial killer case. Pickton was a known suspect,” Rossmo says, echoing his testimony six years ago before the Missing Women Commission of Inquiry, which commended his prescience in its report. The watershed failure—the consequences of which are still unfolding via the National Inquiry into Missing and Murdered Indigenous Women and Girls—unexpectedly led Rossmo to a new line of research, culminating in his 2008 book Criminal Investigative Failures. Lately he’s been researching “sentinel events” for the U.S. National Institute of Justice, and hopes to approach institutional failures—tunnel vision, confirmation bias, departmental turf wars, etc.—mathematically. “It’s got timely repercussions,” Rossmo says, referring to the recent news a serial killer may have preyed on men in Toronto’s gay community. He’s received media calls fishing for negative comments against the police for not responding sooner. In a curious corner of a unique résumé is a 2016 paper coauthored by Kim Rossmo called “Tagging Banksy: using geographic profiling to investigate a modern art mystery.” Rossmo and three colleagues at Queen Mary University in London, U.K., set themselves the task of unmasking that Zorro of the street-art world who calls himself Banksy. To be precise, the team sought to test the validity of the only viable “suspect” in the “case,” the Bristol-born artist Robin Gunningham. 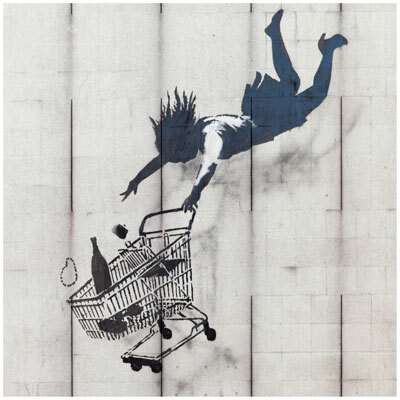 Back in 2008, The Daily Mail newspaper claimed it had identified Gunningham as the elusive Banksy—which representatives of both denied. Both launched street-art careers in Bristol and both moved to London at the same time, among many similarities. Rossmo and company plotted the locations of 140 Banksy artworks in Bristol and London and looked for geoprofiling links to homes and other locations frequented by Gunningham. Rossmo and his U.K. colleagues focused on Banksy to showcase the flexibility of geoprofiling. The authors suggested geoprofiling might be used to find terrorists before they strike, noting that bombings and other violent acts are often preceded by graffiti campaigns, vandalism and leafletting—not unlike the modus operandi of Banksy. Not everyone approved of the much-loved Banksy being used as a guinea pig for exactly the kind of security apparatus he lampoons in his artwork. “I like Banksy’s art—I’ve seen some of it in London,” says Rossmo, who respects the social commentary afforded by street art. And the irony is not lost on him of poking holes in Banksy’s anonymity with the kind of tools used to track terrorists, diseases and killers. But as Rossmo told the CBC, how private does someone really want to be who uses public buildings as his canvas?